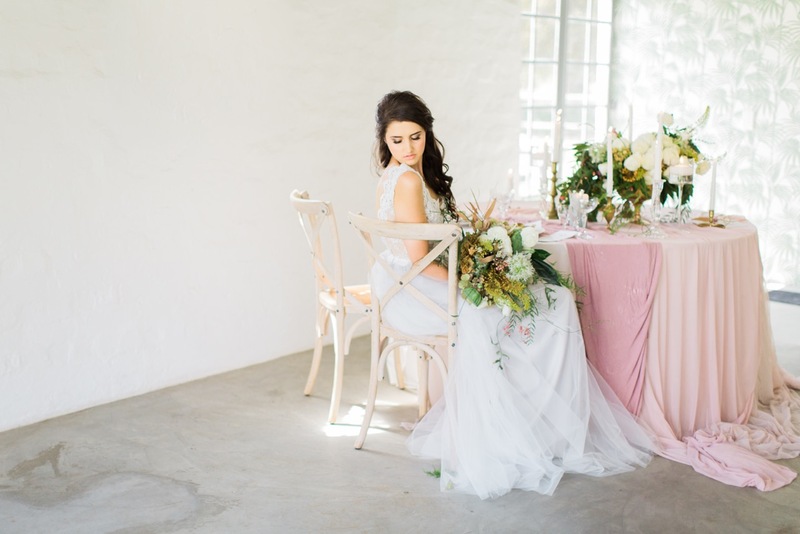 Genevieve Fundaro is a Johannesburg based photographer and when I heard she visiting Cape Town and looking for editorial collaborators – I could not say YES any faster than I did. 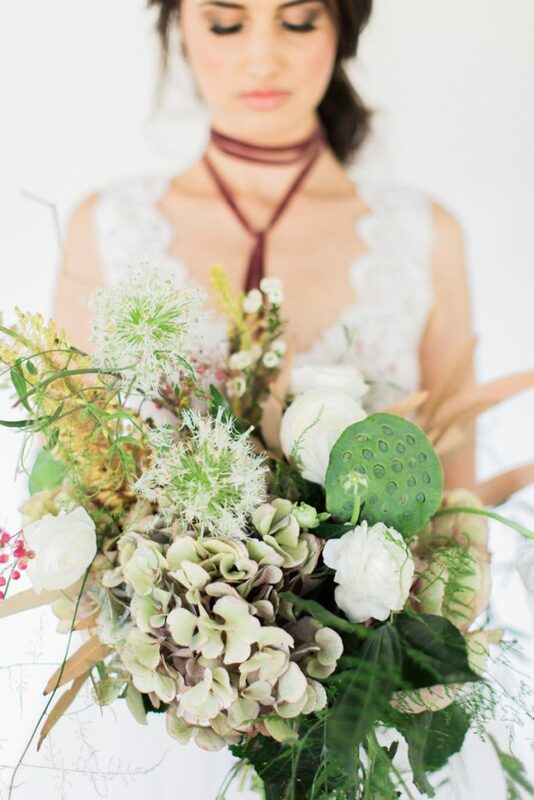 I have always admired her style of photography and after meeting the warm and kind hearted soul behind the lens, I admire her even more. 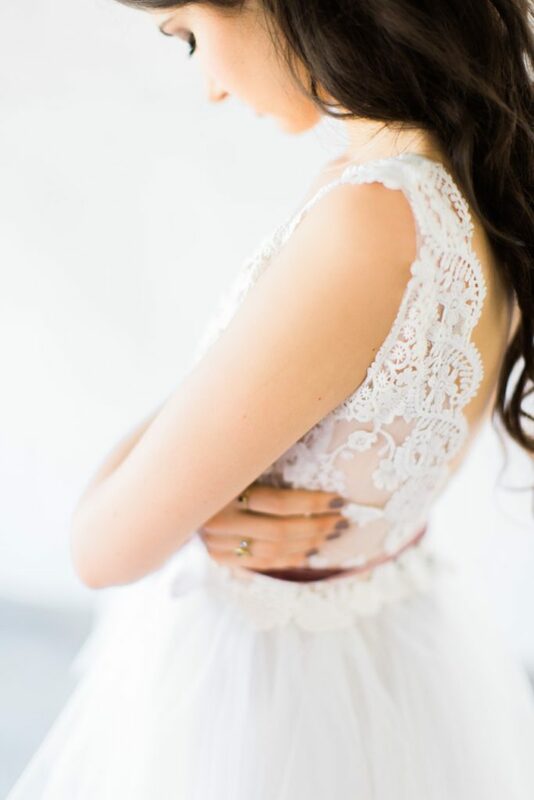 Genevieve left all the details to me and I could dream up a beautiful story together with some of my favourites in this industry. 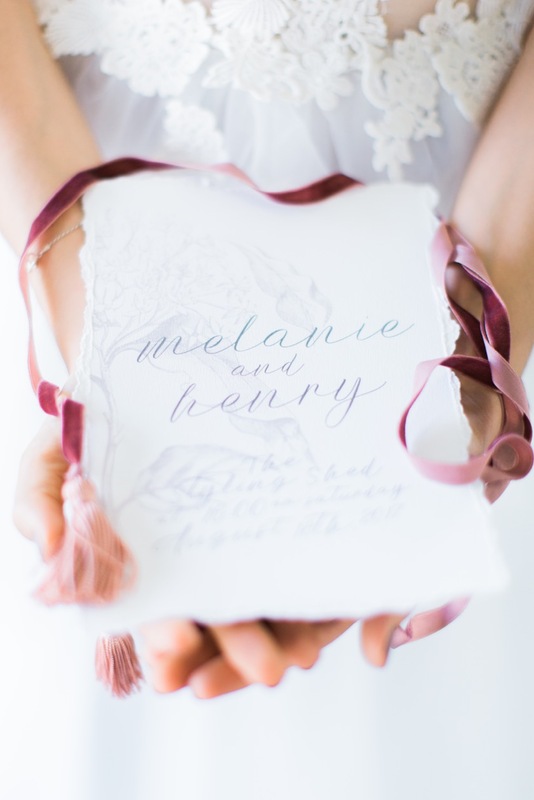 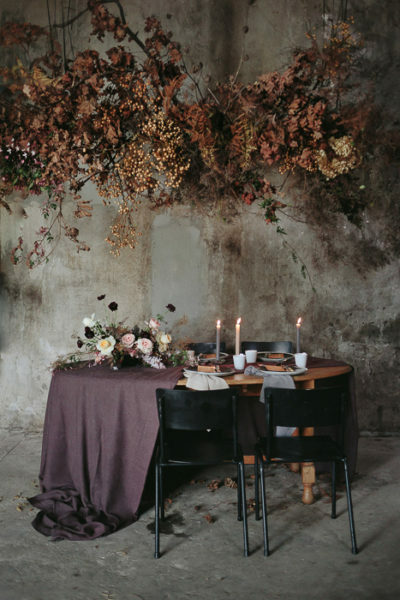 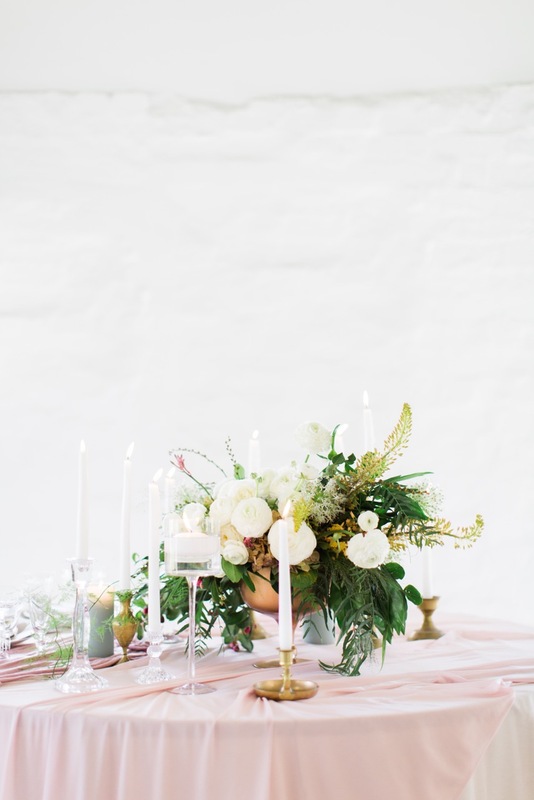 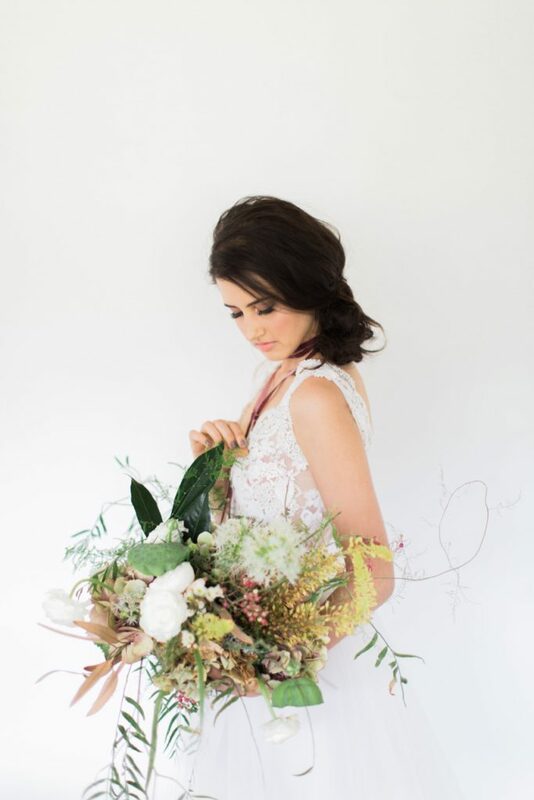 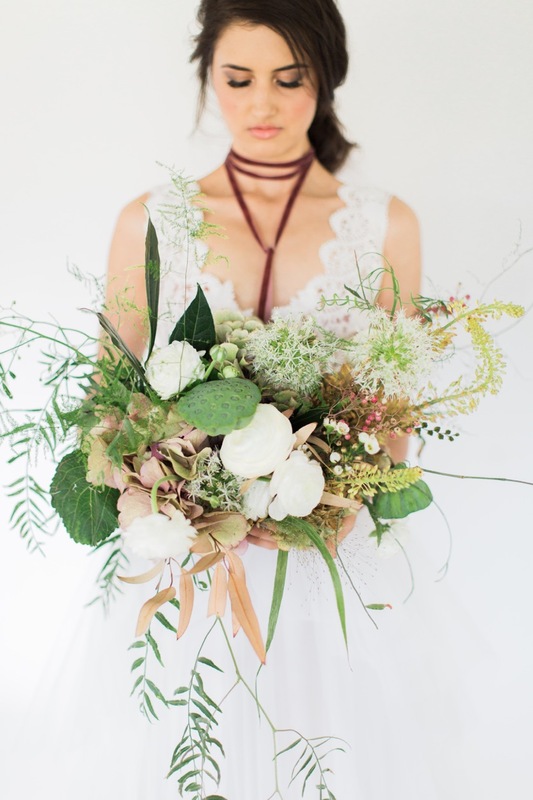 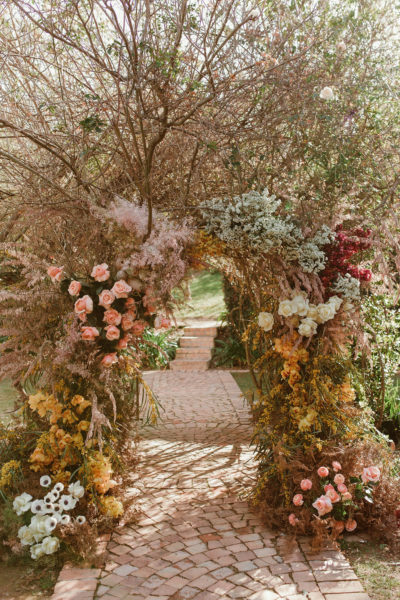 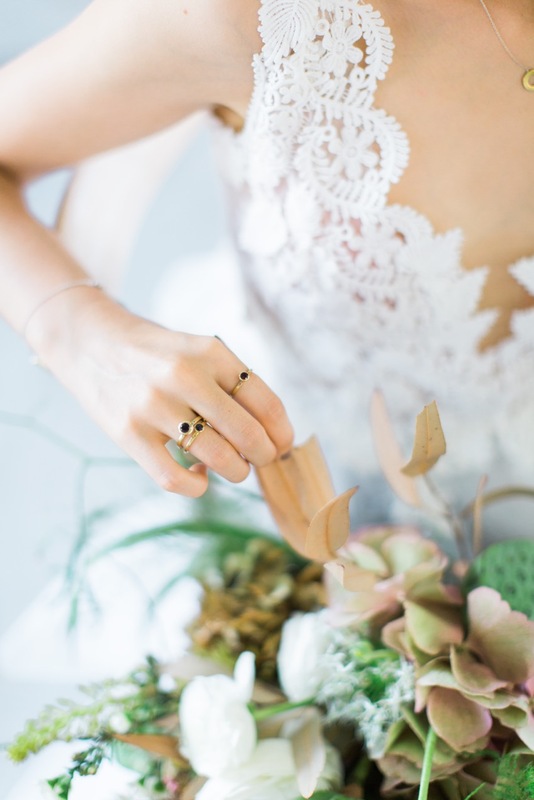 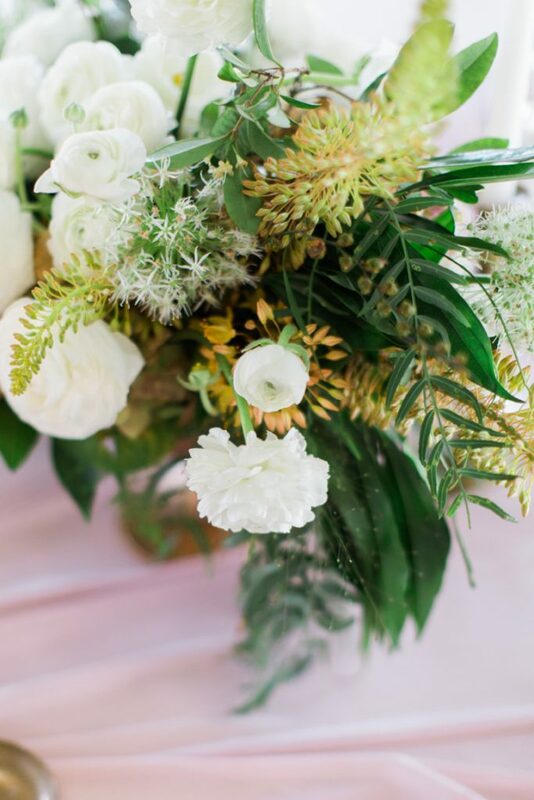 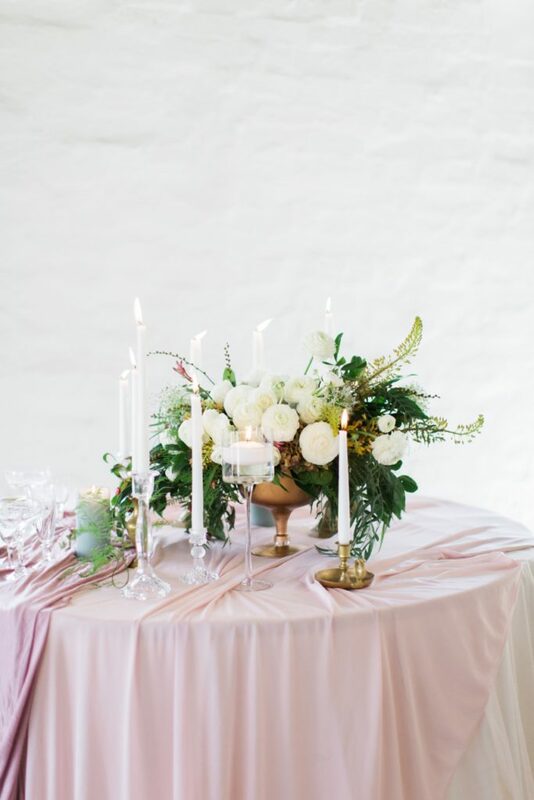 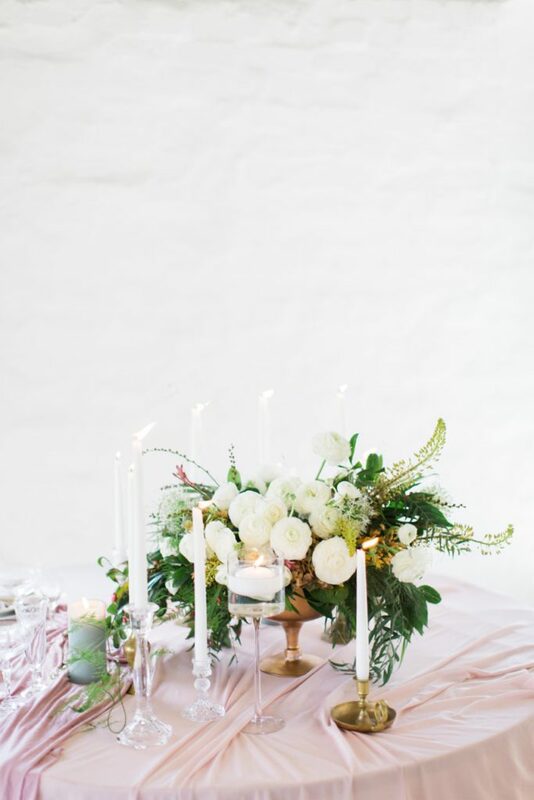 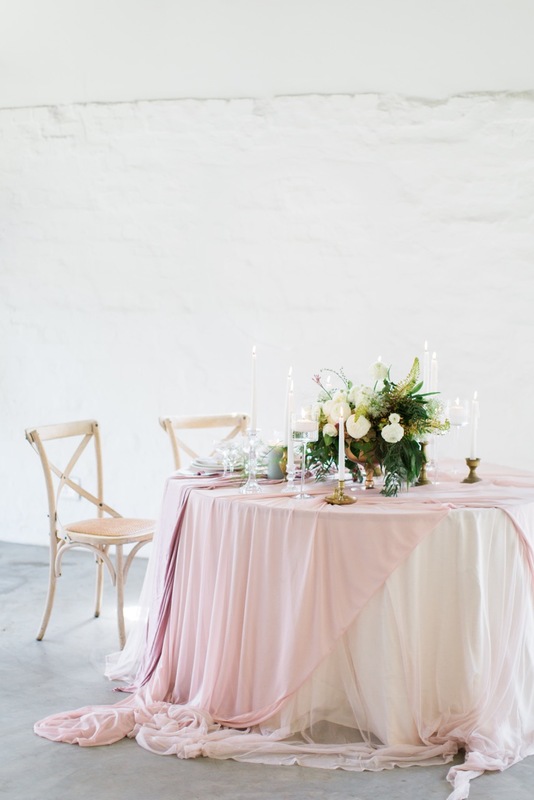 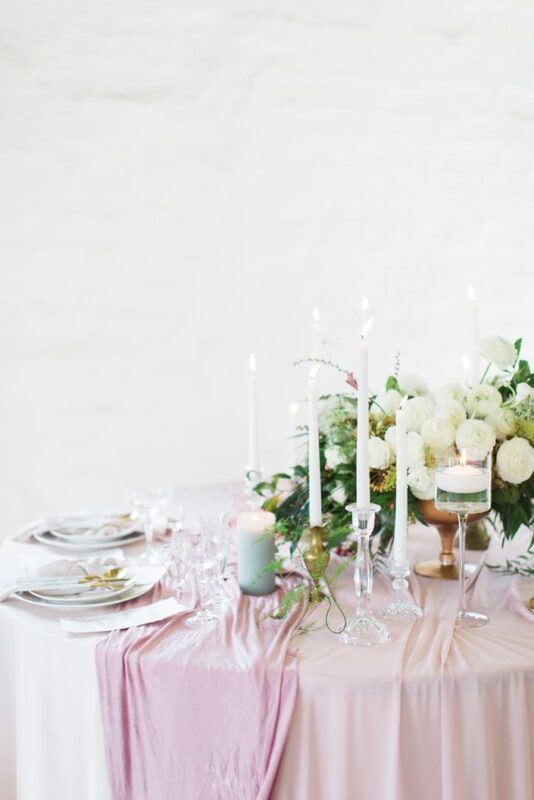 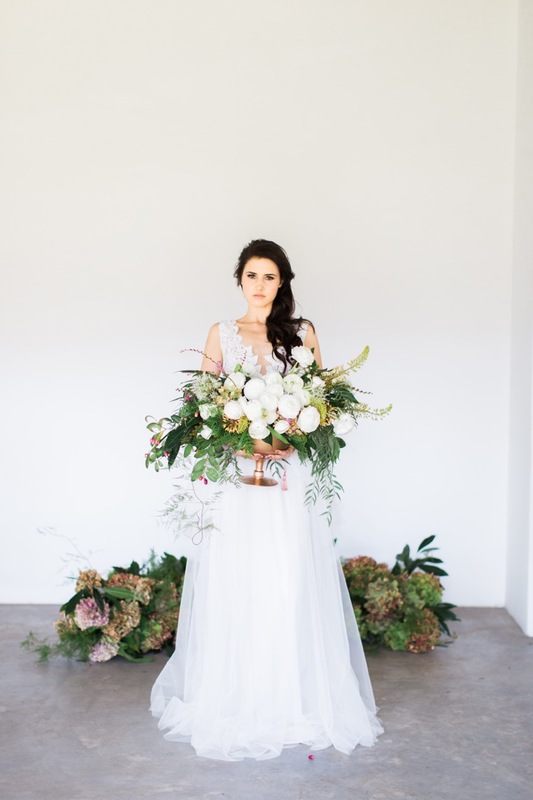 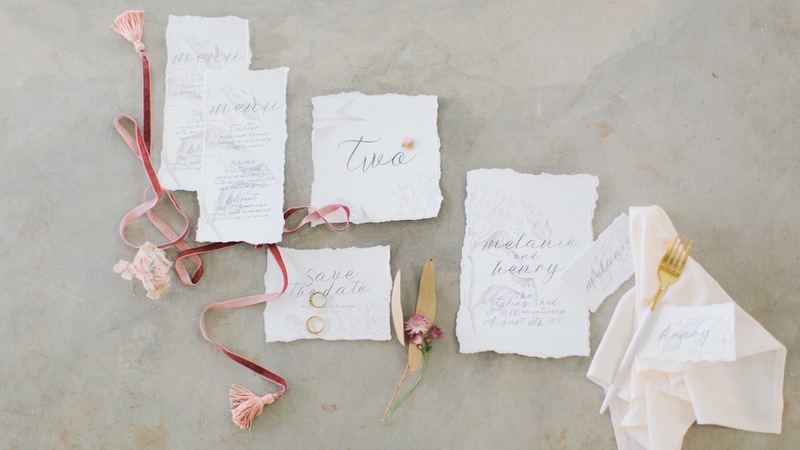 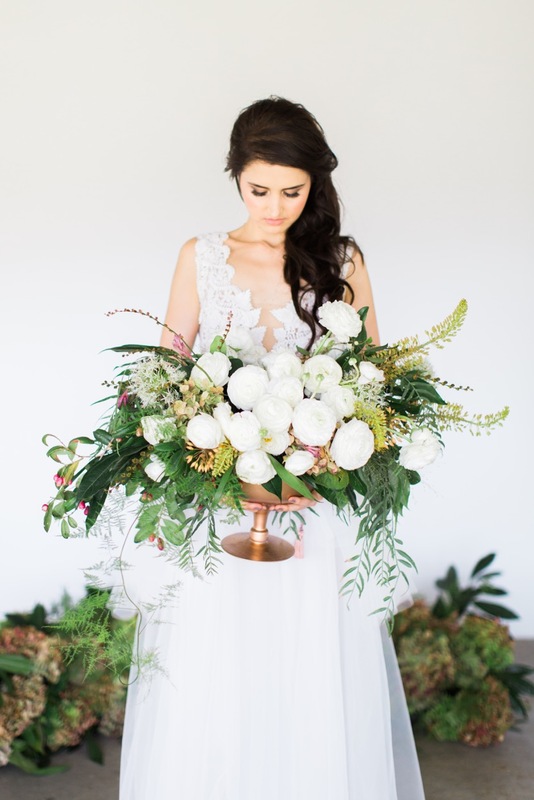 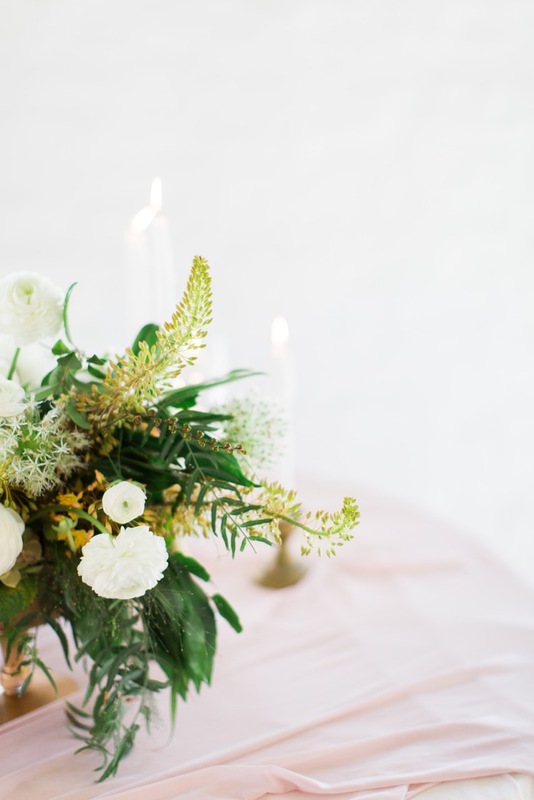 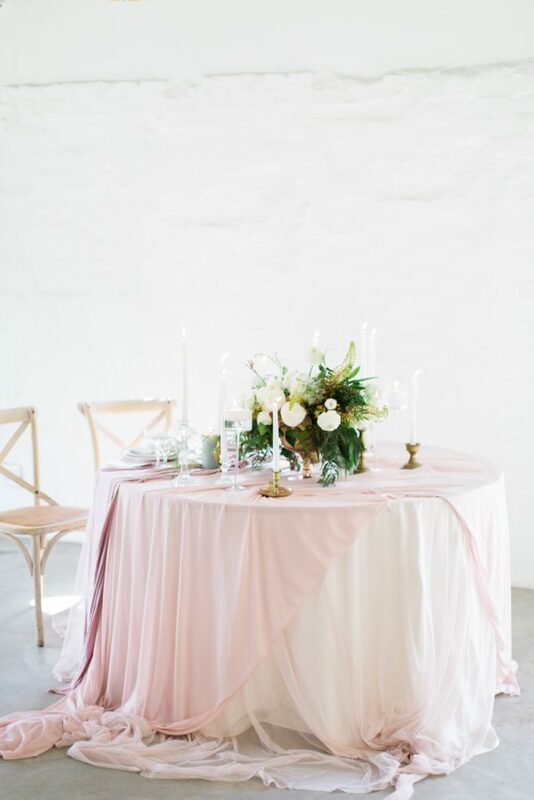 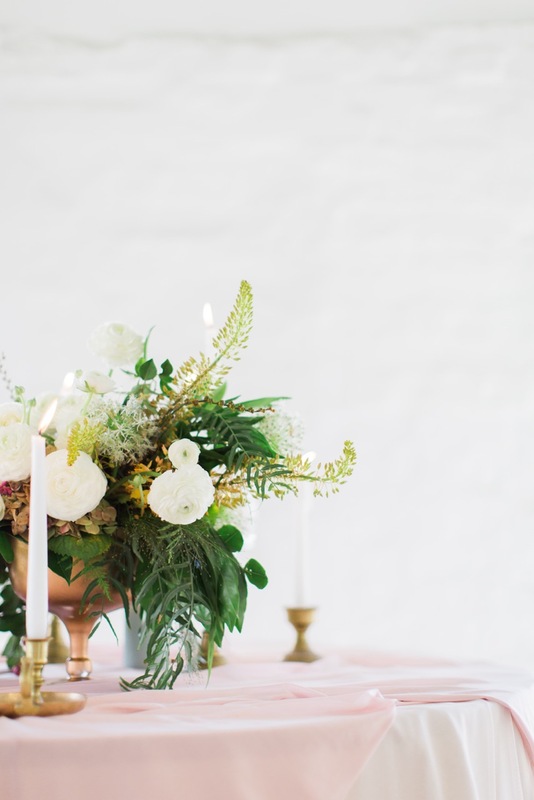 The beautiful venue is The Styling Shed – one of our favourite spaces. 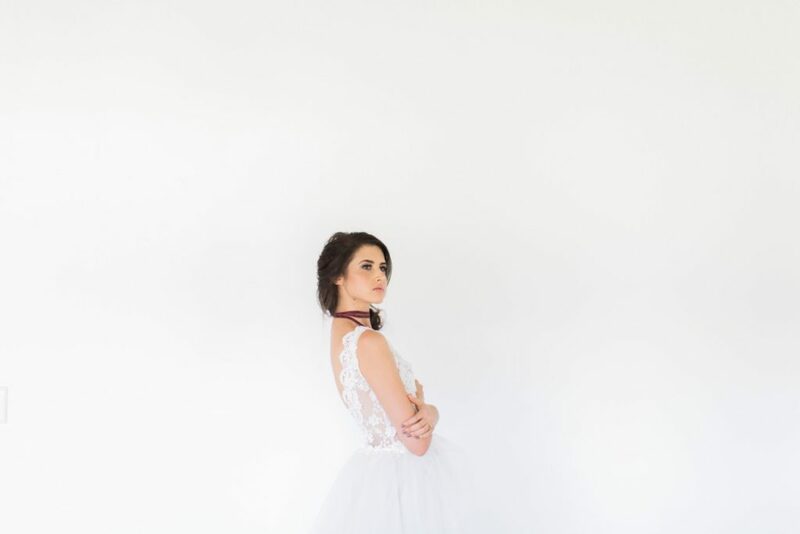 The beautiful dress made by the very sweet and very talented Zanne Couture looked like it was made for our model Listelle Visser. 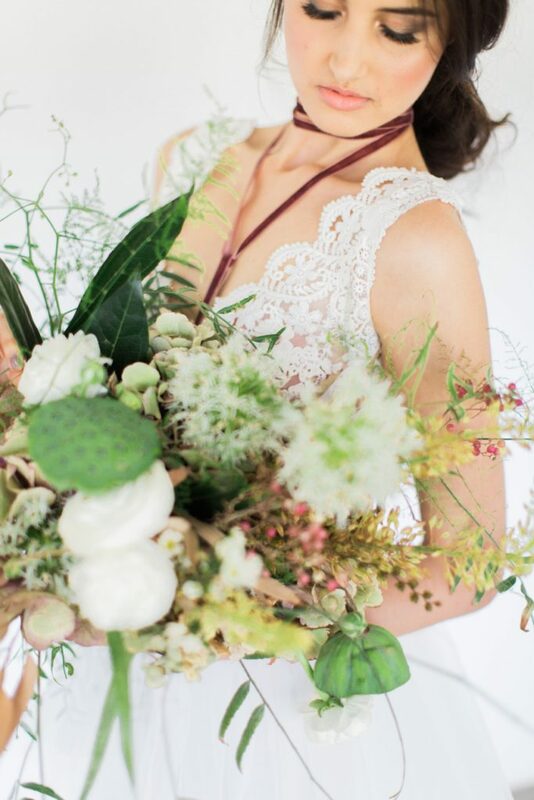 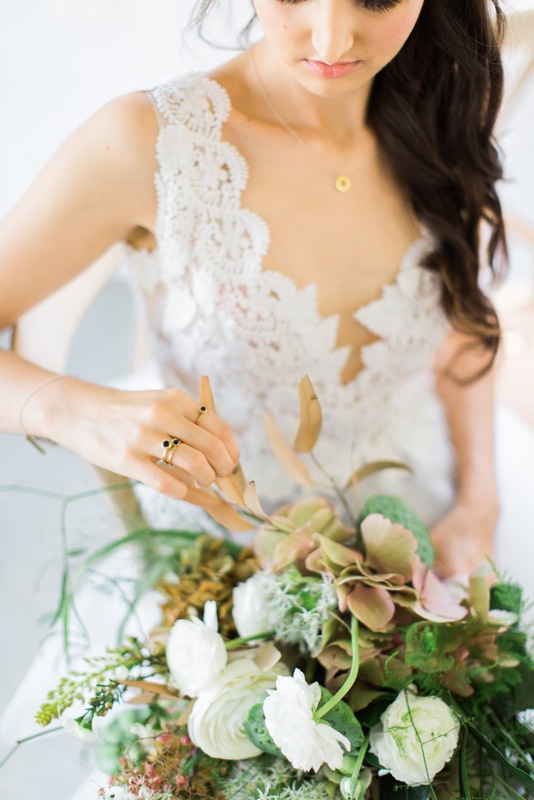 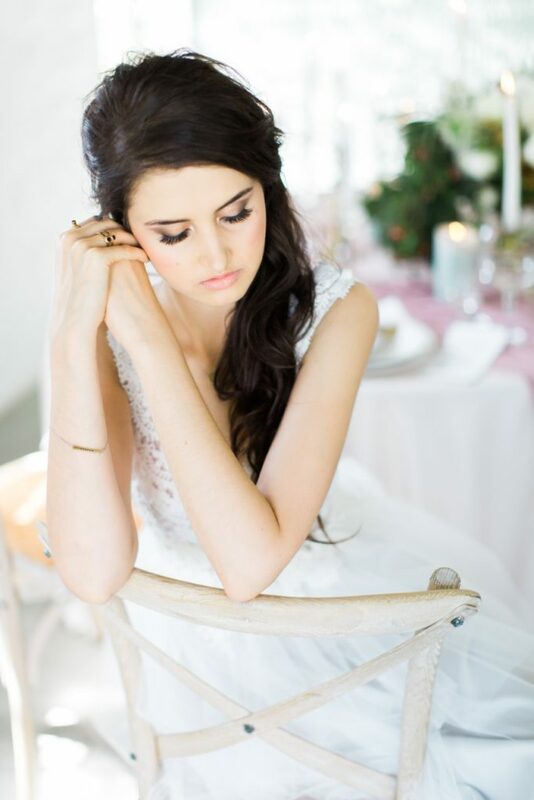 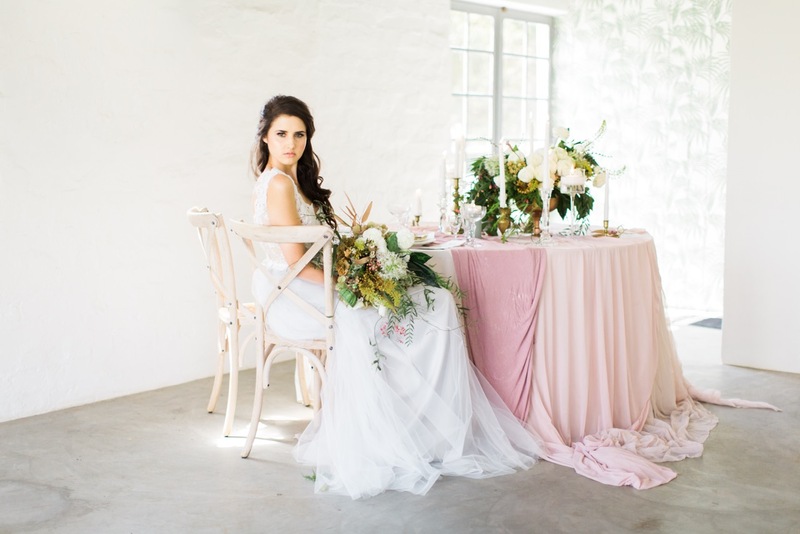 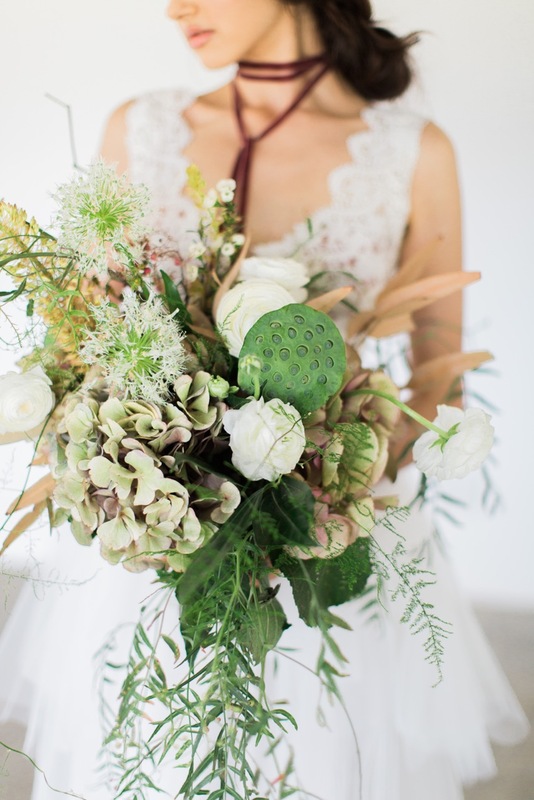 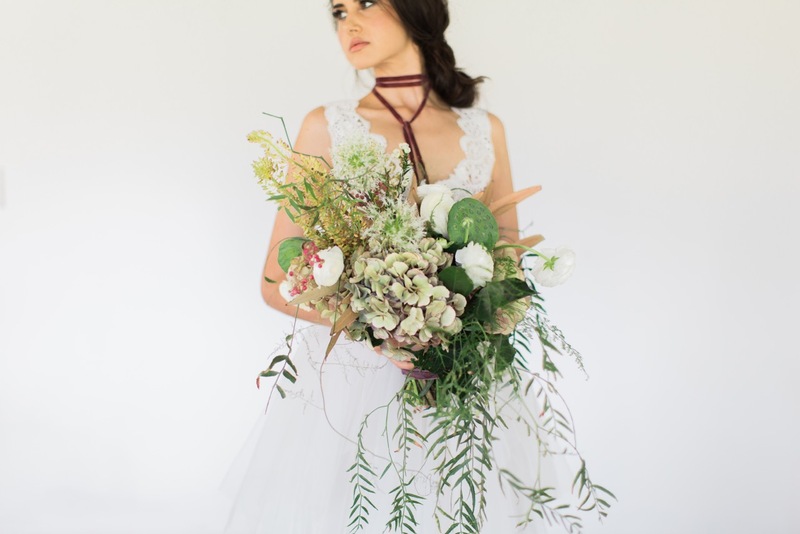 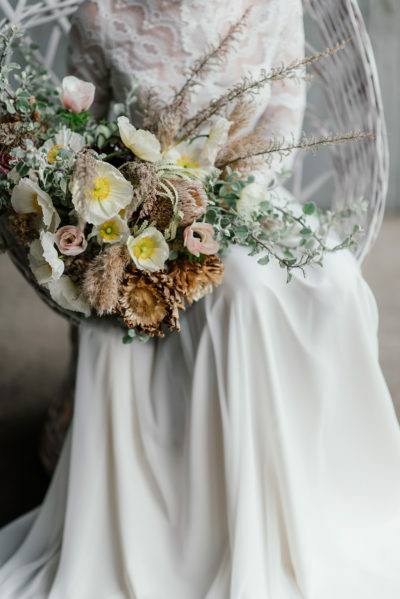 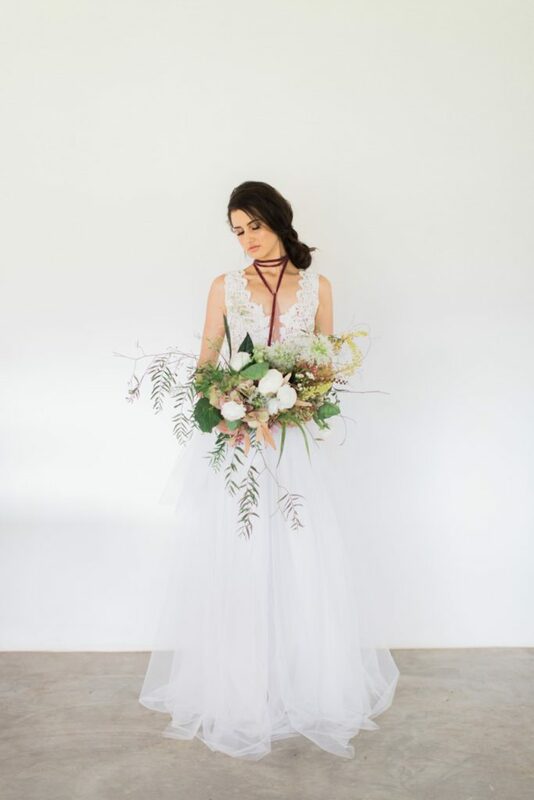 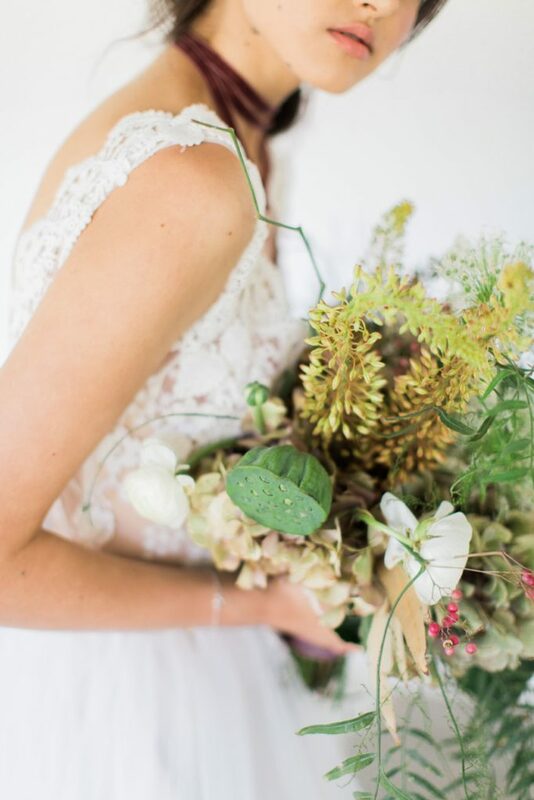 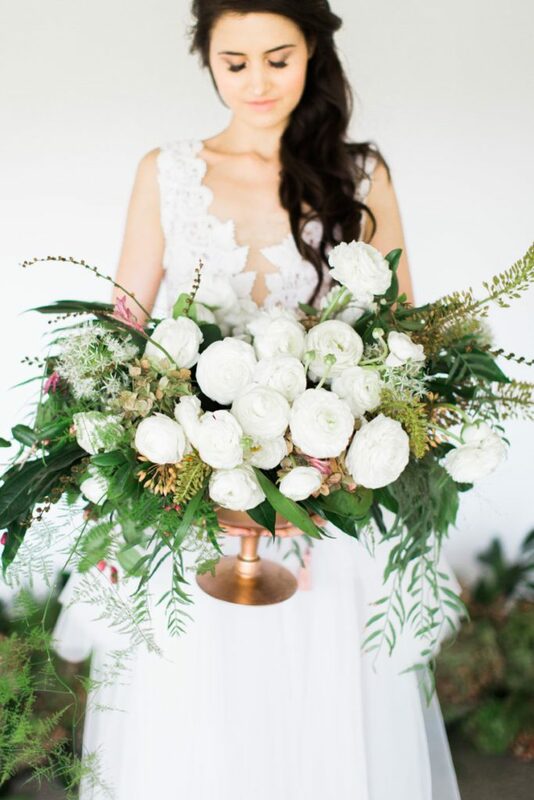 The soft layers of tulle, gorgeous lace details and the perfect make up & hair by our super talented friend, Clarita Smit, added a feminine touch to this industrial space. 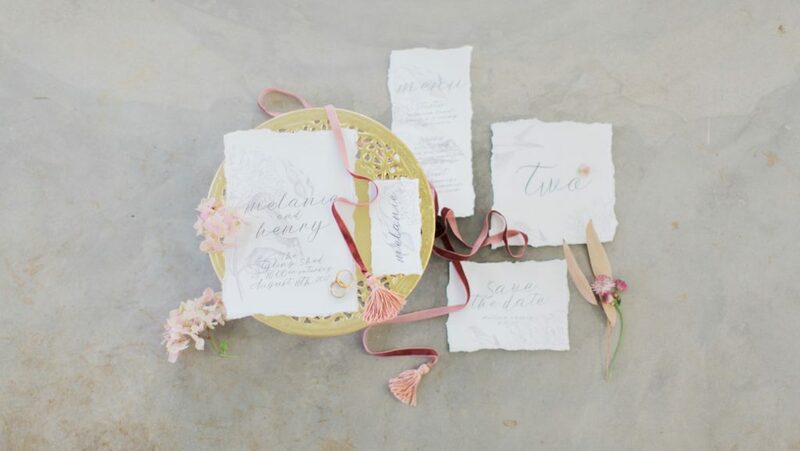 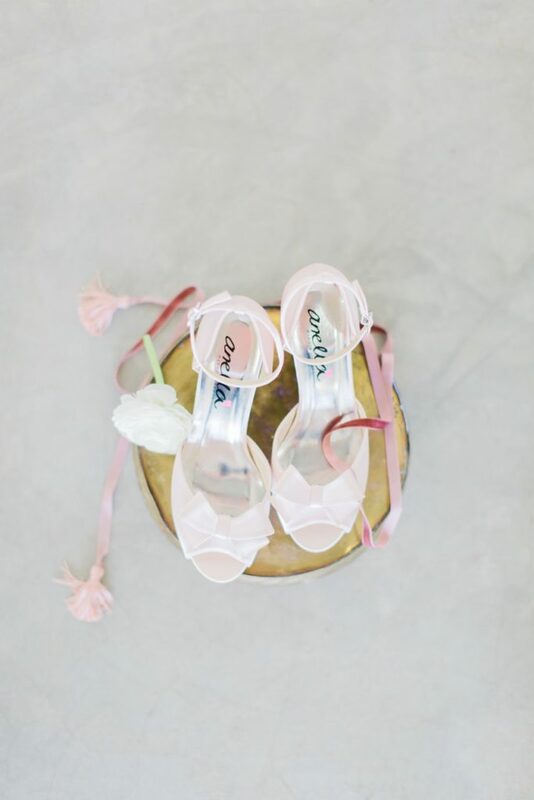 Beautiful blush wedding shoes from the very popular Anella Wedding shoes and edge gold jewellery from Gold & I were beautiful little details incorporated in this editorial. 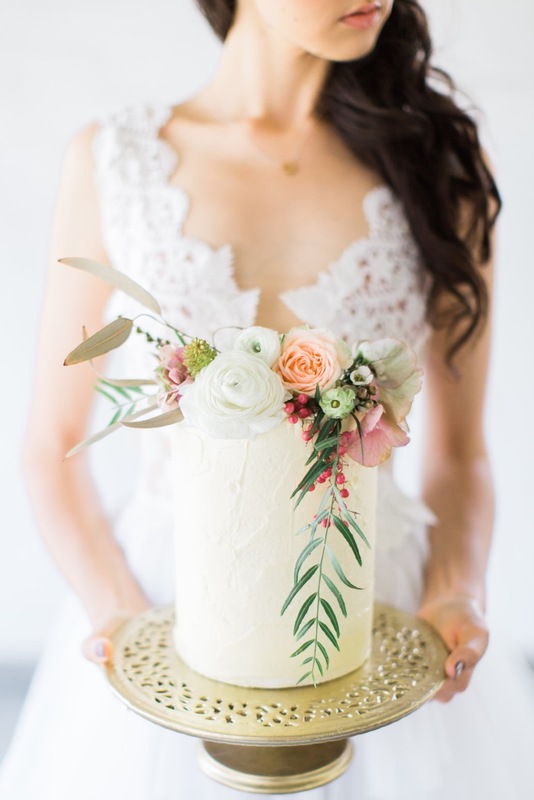 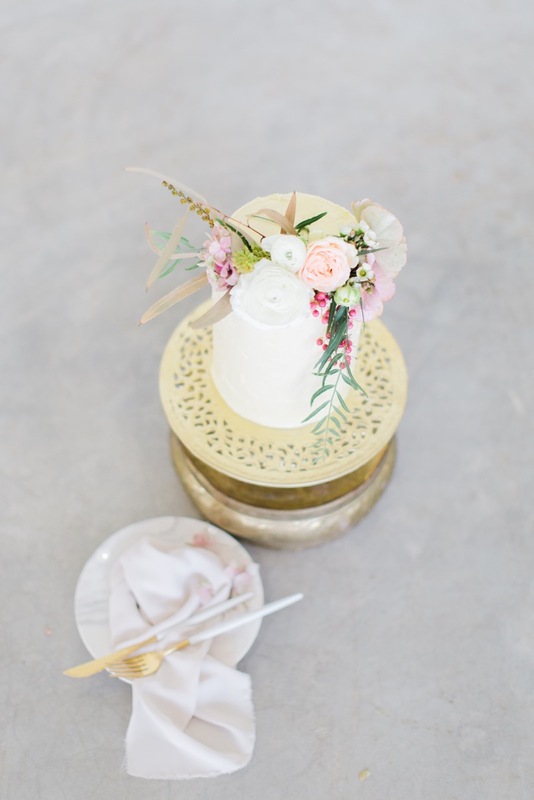 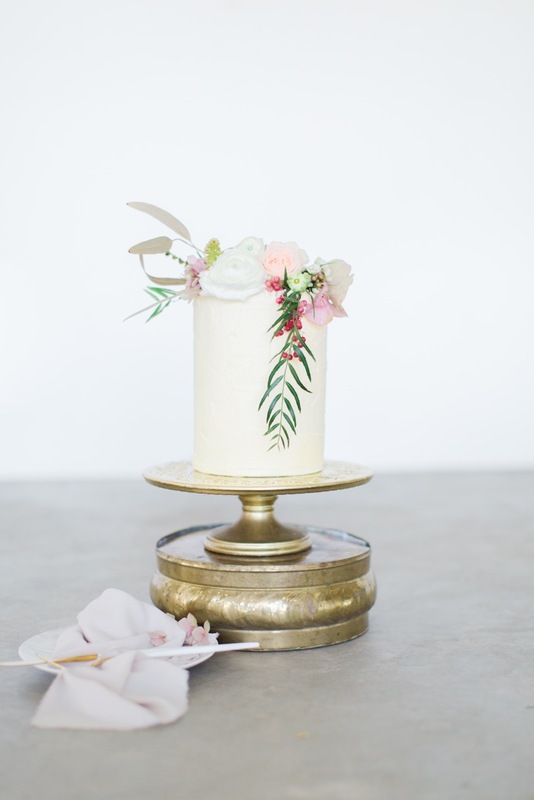 Meraki Blush Bakery were our last minute hero’s of the day with the beautifully simplistic cake (our cake lady suddenly fell ill and the amazeballs Corlandi arranged this for us on VERY short notice). 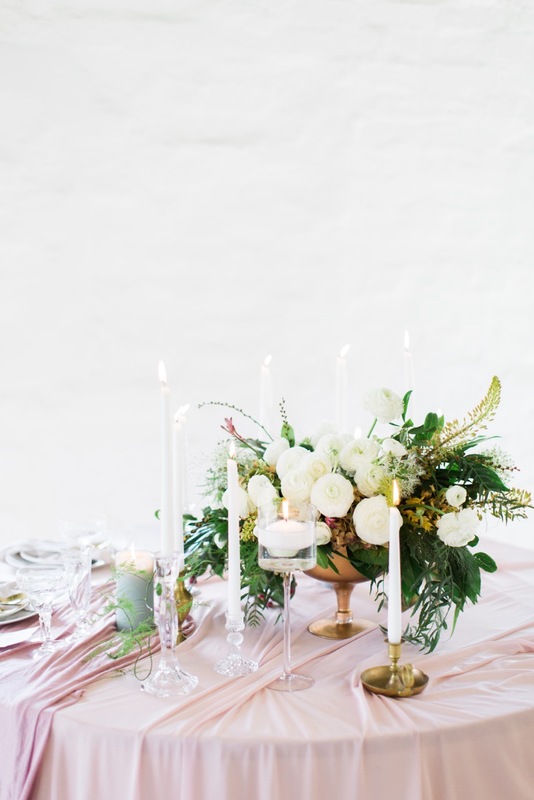 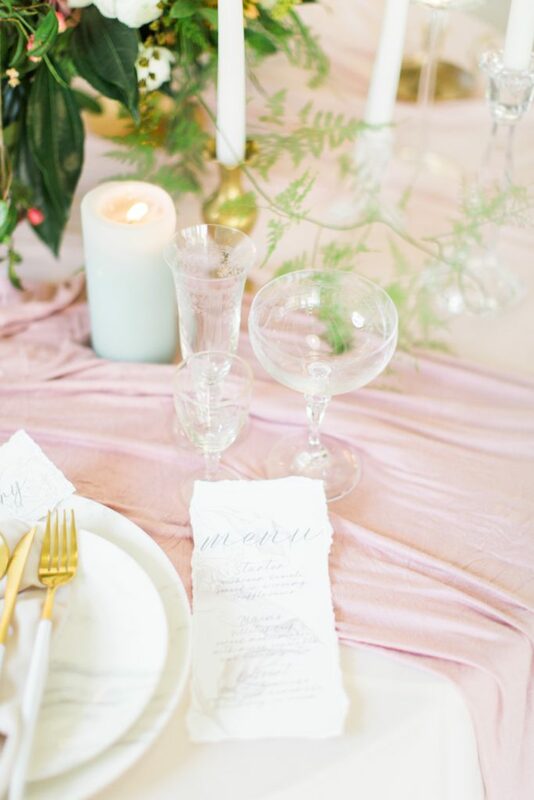 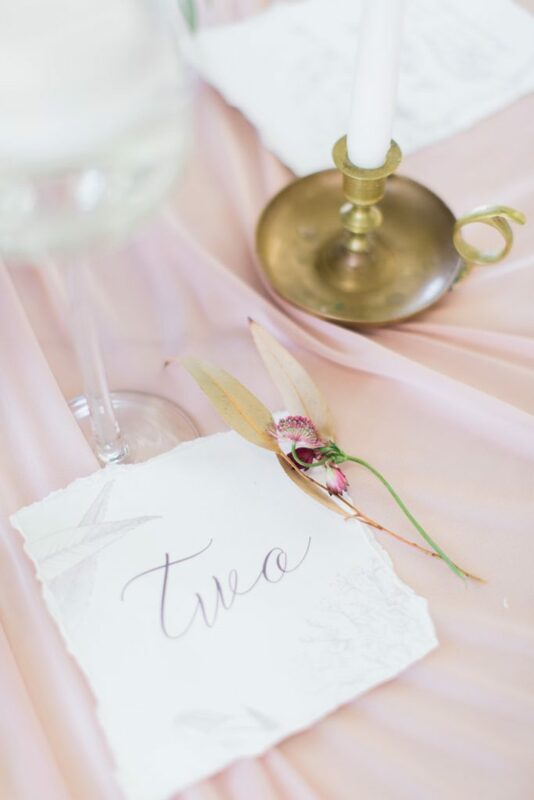 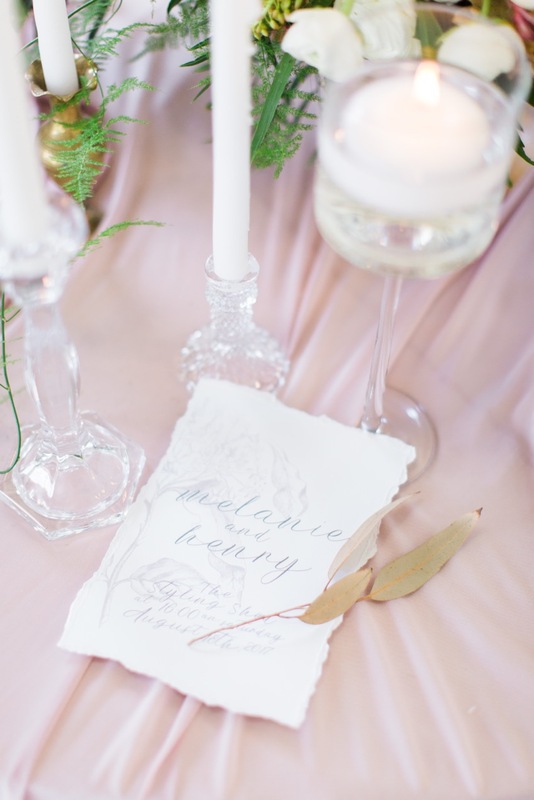 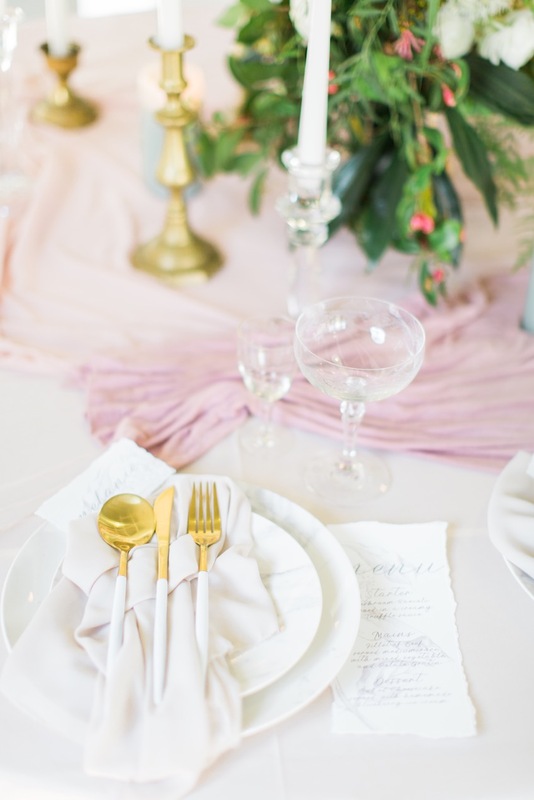 The tablescape usually is my favourite part of any event/editorial – putting all the details together is my own little happy place. 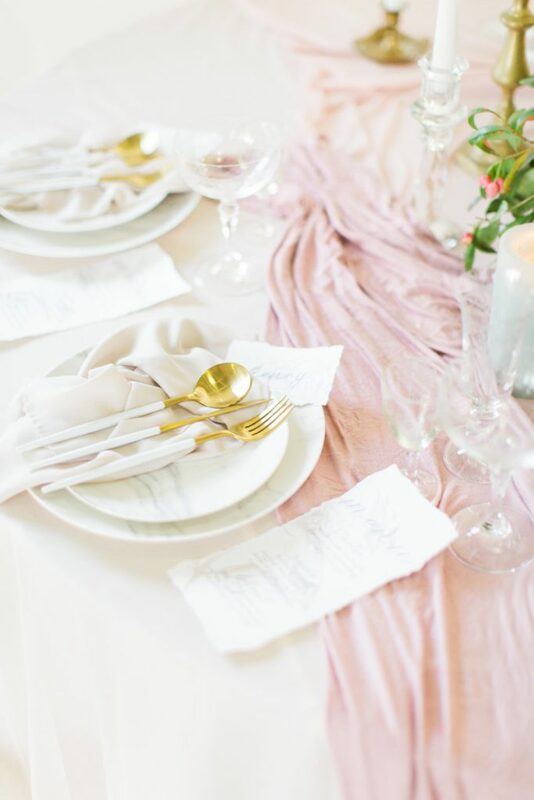 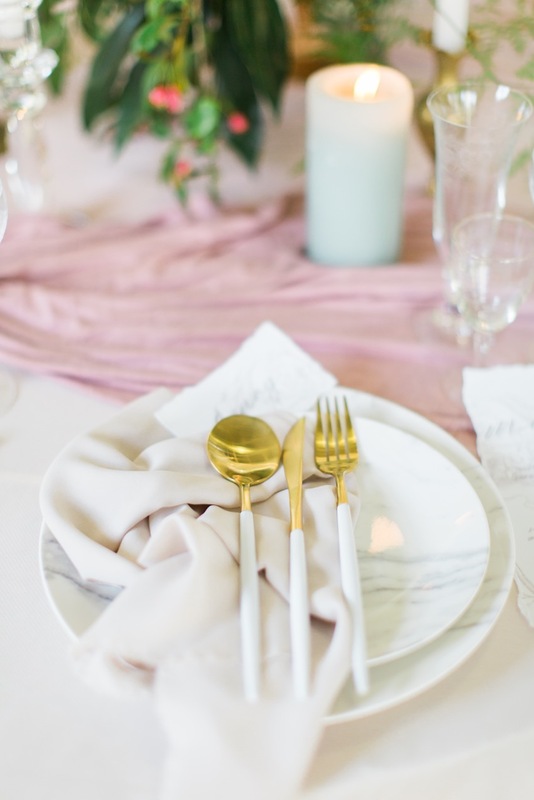 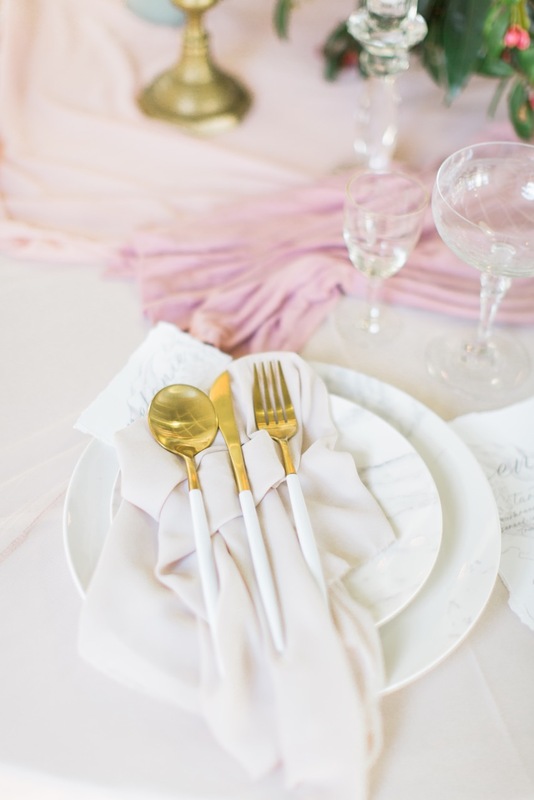 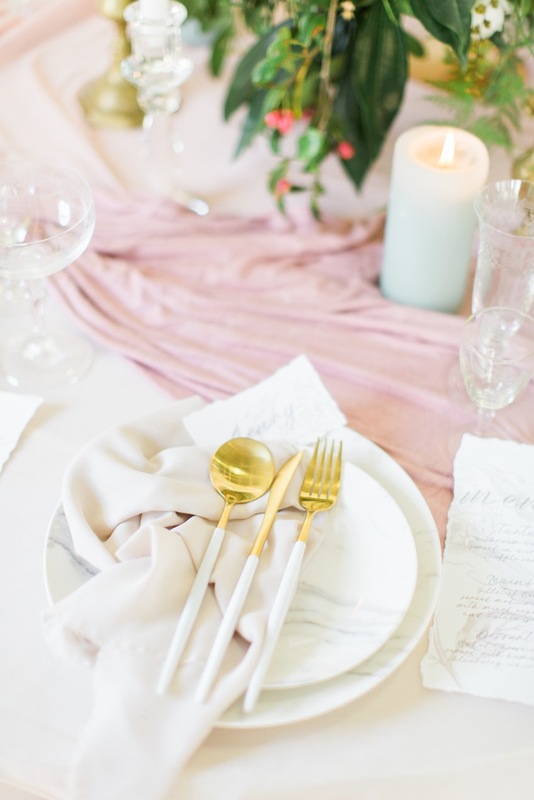 We used gorgeous flowing tablecloths and serviettes paired with cross back chairs and beautiful marble crockery and gold cutlery from Two Birds @ The Dairy Shed. 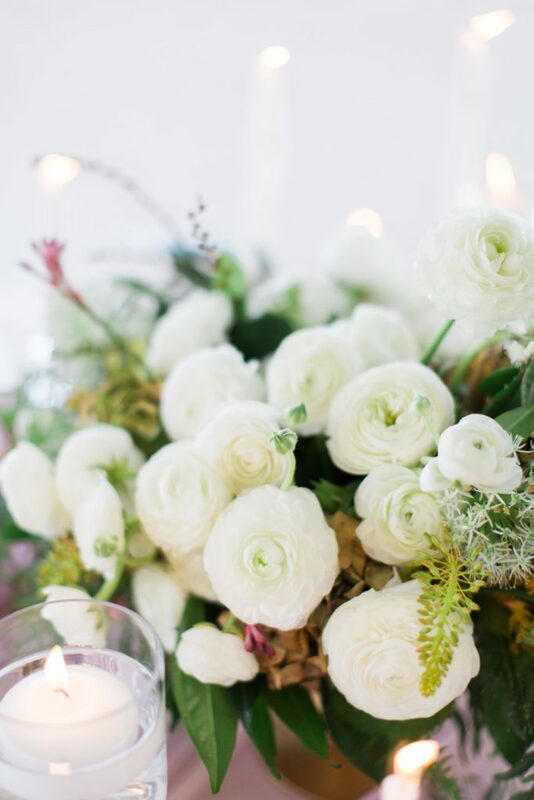 Beautiful white stationary from Pretty in Stains complemented the white accents on the cutlery and the beautiful ranunculus in the table arrangement. 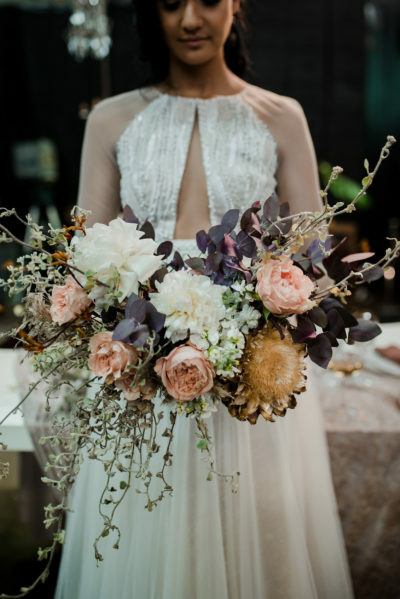 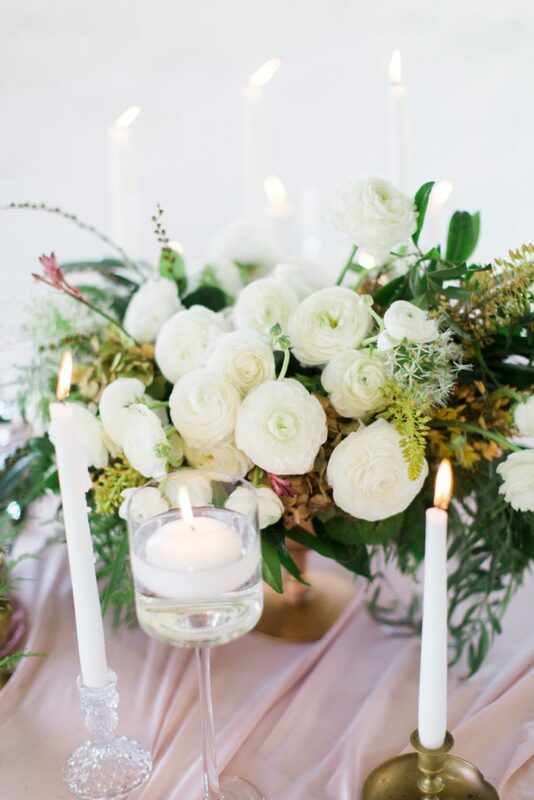 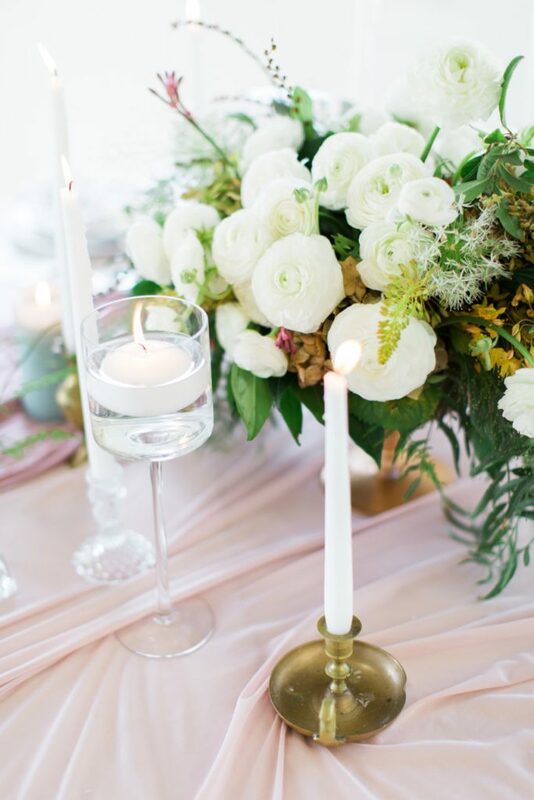 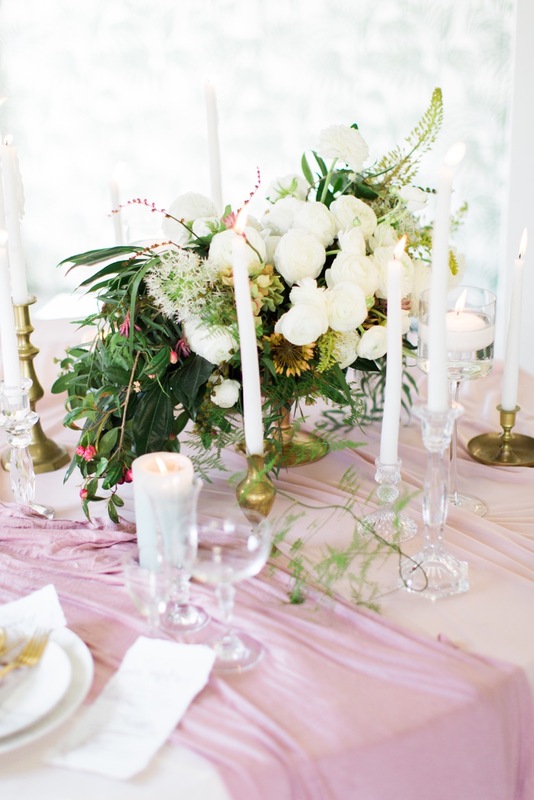 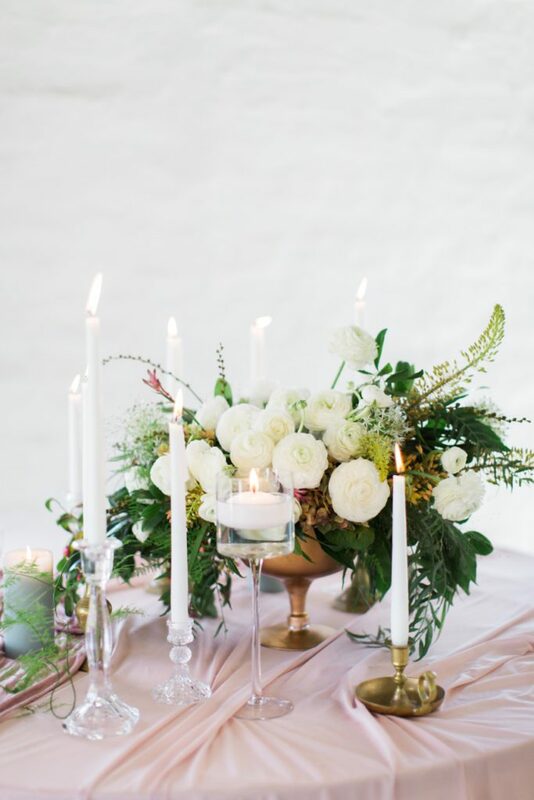 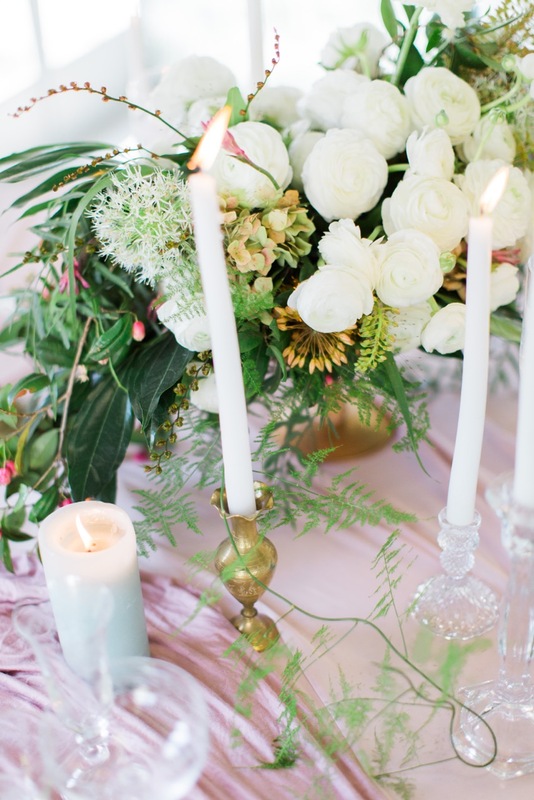 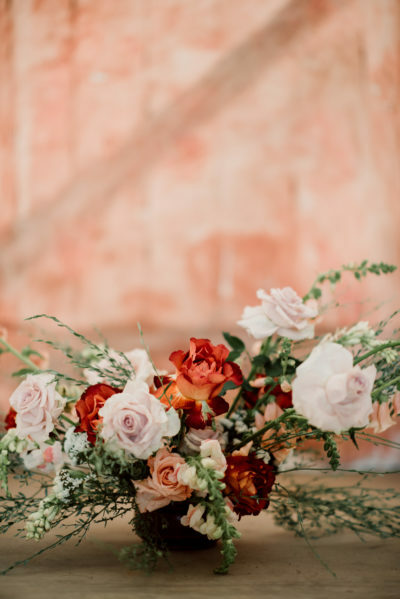 Layers and layers of ranunculus, dried hydrangea and foraged textures came together to create soft and romantic table flowers. 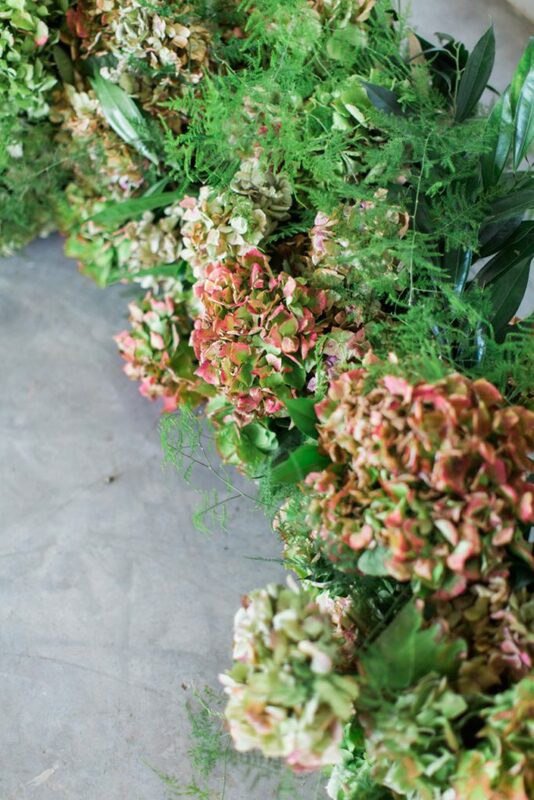 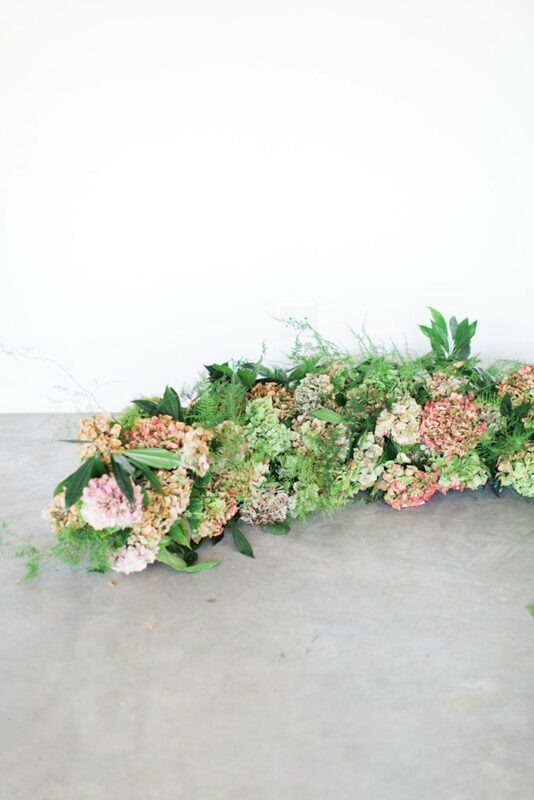 A textured bouquet was the perfect fit for the beautiful tulle skirt and we loved creating the floor arch with dried hydrangea and other greens.